The HiTECH Clean-In-Place 3-A Series 8000-SAN pressure – level transmitters incorporate a fully temperature compensated piezo resistive sensor and a strong, durable flush mounted diaphragm. 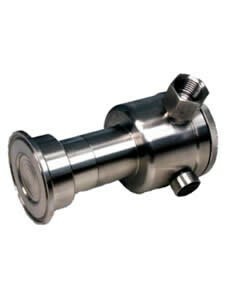 Designed to be non-clogging and well suited for Clean-In-Place 3-A sanitary service, they are the ideal choice for the food, beverage, biotech, pharmaceutical, and chemical industries. To satisfy a broad range of application requirements, a variety of process connections and wetted materials are available. For applications requiring an Intelligent HiTECH offers the SMART Series 2000 with process connections for Clean-In-Place 3-A service. All versions are available CENELEC approved for Intrinsically Safe applications.